When your mind feels frantic or frazzled try sky gazing. 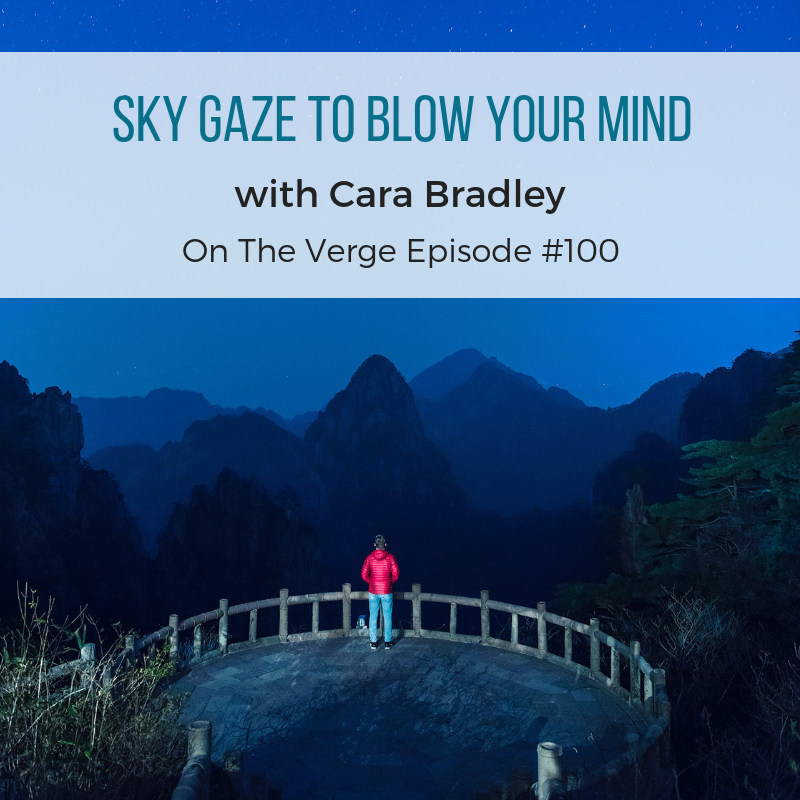 In this episode, Cara explains why this micro-practice opens our mind. You’ll learn how catching a glimpse of the expansive sky is not only settling, it’s downright mind blowing. Furthermore, discover how this simple Tibetan Buddhist practice comes from the tradition of Dzogchen aimed at discovering and continuing in the natural state of being. Not only does sky gazing offer us a glimpse into our natural sense of clarity, this practice also invokes a sense of awe. According to studies at UC Berkeley, experiencing awe expands our perception of time and enhances our sense of wellbeing. When you’re feeling fixed and closed, take a few minutes to blow your mind. Try sky gazing out a window or, better yet, get outside. This micro-practice can be done day or night. Listen until the end for a guided practice. Settle into your seat or lie down. Set your timer for at least 2-5 minutes. Open your eyes and look at the sky. Rest your gaze softly on the wide open sky, not focused on any particular object. With each exhalation, allow thoughts, distractions, and emotional tensions to gently release out of you into the vast sky. If a thought comes up, simply focus your attention on your next exhalation and allow the thought to pass. Allow yourself to be absorbed in looking at the sky, resting in the space inside of you, around you, and above you. Continue until your timer goes off or, better yet, stay for as long as you like. PrevPreviousAre You Missing Peak Experiences in Your Life?